Tottenham will look to defend a 1-0 lead in the second leg of their Champions League quarter-final tie with Man City on Wednesday night, but injuries are taking their toll. Spurs lost both Harry Kane and Dele Alli in the closing stages of the first meeting in midweek, with the former said to be a doubt to feature again this season after sustaining ankle ligament damage. Alli suffered a broken hand in the encounter, but as noted by the Metro, Mauricio Pochettino is more confident about his ability to feature in the coming weeks. Nevertheless, he wasn’t involved as Tottenham faced Huddersfield on Saturday, as they face a crucial few weeks with the battle to finish in the top four in the Premier League continuing as well as their hopes of advancing to the last four of the Champions League. With that in mind, the last thing that Pochettino needs is to be given another injury headache, but that’s exactly what he has seemingly been handed as seen in freelance injury analyst Ben Dinnery’s tweet below. Harry Winks was missing from the squad against Huddersfield, and it’s been revealed that a groin problem has sidelined him and he’ll need to be assessed before the second leg against Man City. Winks, 23, started the first leg in north London, and has made 40 appearances for Spurs so far this season. In turn, it’s good news from a Man City perspective as their rivals are seemingly losing key players at will at the moment, as they’ll hope to overturn their deficit at the Etihad on Wednesday night and eliminate Spurs from the competition. 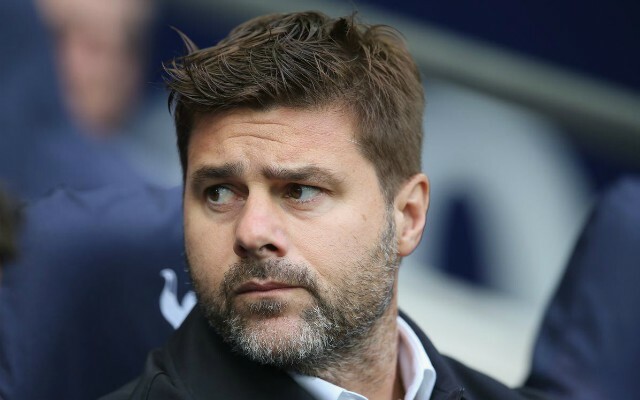 It was a patched up Spurs side that faced Huddersfield on Saturday, and so Pochettino will be desperately hoping for positive news in the coming days on the injury front to boost their chances of advancing.